In mid Sept we have this trip planned for 3 weeks! We plan to ride Jackson Hole, Park City, Fruita, and Moab. About a 3,200 mile trip with all the driving around to trailheads. The leg to Yellowstone, which Katya hasn’t been to yet, is about 15 hours as is the return from Moab. Ugh. There is one more thing! I just scored a Red Bull Rampage ticket so I’ll be riding the Virgin / St George area at the end of October for a week or so! 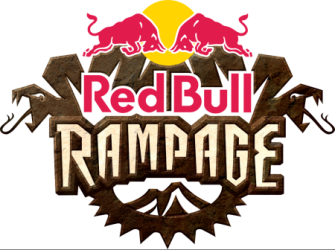 Thank you for registering for the REDBULL RAMPAGE!!! This General Admission ticket allows 1 person access to the Red Bull Rampage on October 26, 2018. Access is via a rough 4-mile road and a bike valet is included with this ticket. Bicycles or walking only, no vehicles of any kind allowed. Tickets must have the name of the person attending on them. Tickets are transferable within the Strideevents.com platform for a fee of $15. Tickets are non-refundable and will be sent digitally to the purchaser 3 days prior to the event. This ticket includes a $5 donation to both Dixie Mountain Bike Trail Association and Wings for life Foundation. Previous PostSpring 2018 MTB Road Trips – A Little Late…Next PostOctober 2018 MTB Road Trip – Too Many Troubles!